Our favorite concerts of the year! We enjoyed playing music for two concerts! The hospital staff and the audience at Long's Peak were happy to hear the sounds of the holidays! Benefit concert for the Water Project. We had a great event in April. We met our goal of $5,000 for the well project. Our well is current under construction in Burkina Faso. Thank you students and parents for all your hard work! Many familes will benefit from this life-saving water well! Costumes were great! Thanks for coming! 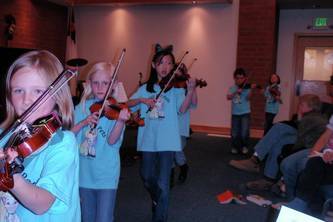 We had a great concert this year. The Movie music was so much fun to play! We raised $8,500 for Operation Smile. This was our 3rd annual benefit concert. 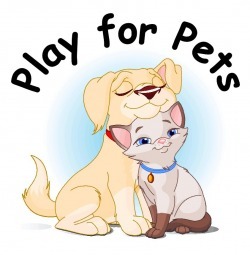 Our goal was to raise enough money for 10 surgeries! Looks like we exceeded that! Students -- Thank you for your hard work to help make a difference in our world! The Students enjoyed the workshop with Jennifer Armstrong. 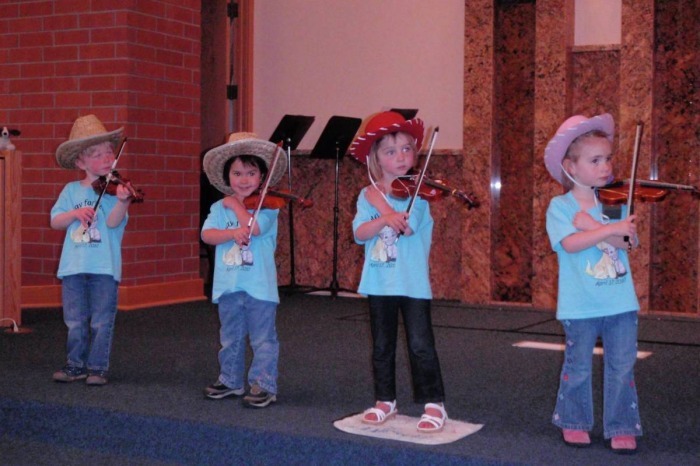 Lots of new fiddle tunes! We all escpcially enjoying the storytelling and dance afterwards. Thank you Jennifer! What fun evening! 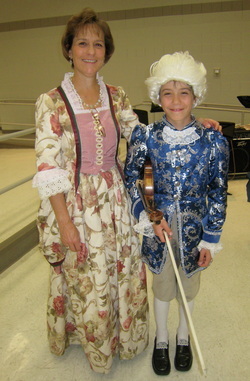 The costumes, food and music were great! Thank you to all who were able to attend and thank you to Shanna Towes and her flute studio for the invitation. Thank you to all who attended! The kids played out under a big willow tree while a small hen danced to the music! Afterward we all enjoyed the beautiful day and the many activities available at the Farm. Thank you Sunflower Farms for a great day! Our first solo recital was a great success. The students sounded great. Thank you, students and parents for all of your hard work. 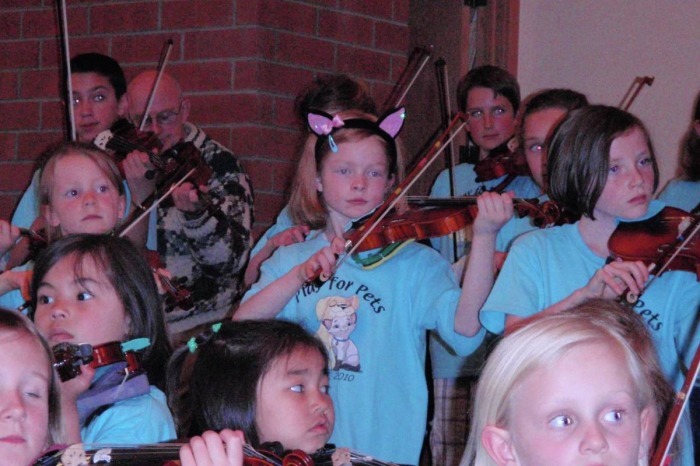 The concert was a great success; we raised $630 for Longmont Humane Society. Mateo and Hanna, our canine visitors, thank you very much!